There’s been a very good amount of news this week and I’ve really been able to grow my knowledge on things I wasn’t that strong on and better my knowledge on things I think my knowledge is fairly good on. Firstly a big thanks to Nick Weaver for adding me to his blogroll. Nick is a fellow professional I look up to and to be added to his blogroll means so much to me. Thanks Nick hopefully my blogs make your decision the right one!! This past week has been dominated by the news and release of veeam’s latest product Surebackup. The features and possibilities of the software have been covered so well by such top people I won’t even try detail it. First person I saw to get a blog posting out for it was Arnim Van Lieshout (@avlieshout) followed shortly by Lode Vermeiren (@lode) with his Veeam unveils SureBackup and there are so many other blogs out there but these two with the official page covered everything I needed to know about the product. I’m planning on testing the Veeam software soon to see if it fits our requirements here. Eric Sloof let out that VMware are indeed going to be rolling out new certifications to bridge the gap between the VCP and the VCDX. After hearing that there are over 53,000 VCPs, of which over 15,000 are VCP4s (and this was said in early February so I’m sure there are a large amount more now) I’m strongly feeling the need to start trying to build myself up in preparation for the VCDX. Talking of the VCDX, Eric and Duncan Epping both blogged this month about the release of the new VMware vSphere Design Workshop. Eric explained the course layouts and the dates he will be running the course himself. Whereas Duncan has gone into detail all about the course and what it entails. I’m hoping to get on the course really soon as unfortunately the current dates aren’t possible due to work constraints and planned work. On twitter recently I noticed Kendrick Coleman planning to run Nested VM’s and hadn’t tried the process myself so I did some researching of it’s possibilities and the changes you need to make and found a great document on the VMware Communities about the changes that need to be done.While on Kendrick’s site I noticed he found the solution to the jumpy mouse problem in Windows 2008 R2. I tried the solution myself and it works perfectly!!! Just a warning though that even though it’s possible to do this for non R2 2008 servers, once you apply the newer driver and reboot the machine your video won’t come back .Thankfully I did a snapshot in case this happened. One of the consultants here asked me about mismatches between a clients vcentre memory utilisation and the virtual machines task manager values. 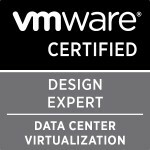 So I knew a few ideas like checking that the latest vmtools are installed so that performance reading could be conveyed to the virtual centre server correctly but also I had come across a document a while back while having the same problem in my home lab by David Ball detailing a way of fixing the problem. There has been some major virtualisation news coming out of Microsoft over the past few weeks. Mark Wilson (@markwilsonit) covered it so well that I would highly recommend reading his blog posting covering it. The part of “Rescue for VMware VDI” promotion really brought a smile to my face. Mike Laverick of the chinwags fame has recently released a new book he has been working on called Administering VMware Site Recovery Manager 4.0. Mike has set an amazing example and has given the book out for free in return of people making a donation to Unicef for the download of the book. So make sure you make your donations and get downloading/printing. I’ve already got my hard copy on the way. Also if you haven’t been listening to Mikes chinwags then i would firmly recommend them as they are great for a bit of news and banter from some of the top names in virtualisation. Virtumania is another weekly/fortnightly podcast that is growing exponentially in the industry for having the hottest topics and discussions. It’s hosted by Richard Brambley (@rbrambley) and is well worth the listen. Categories: MCITP, Virtualisation | Tags: MCITP, surebackup, VCP4, VMware, Windows 2008 Server R2 | Permalink. Thanks for mentioning, and the kind words about, Virtumania!